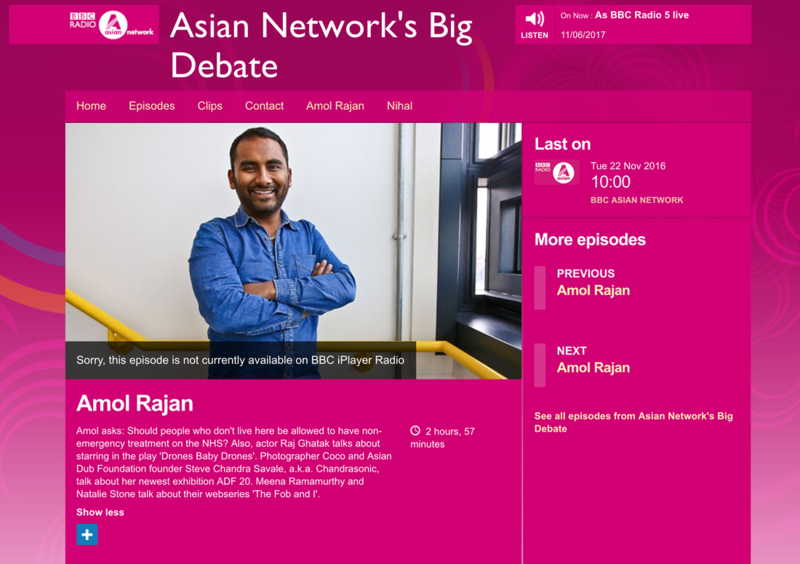 We're talking to Amol Rajan on The Big Debate about how webseries are more than just cat videos! 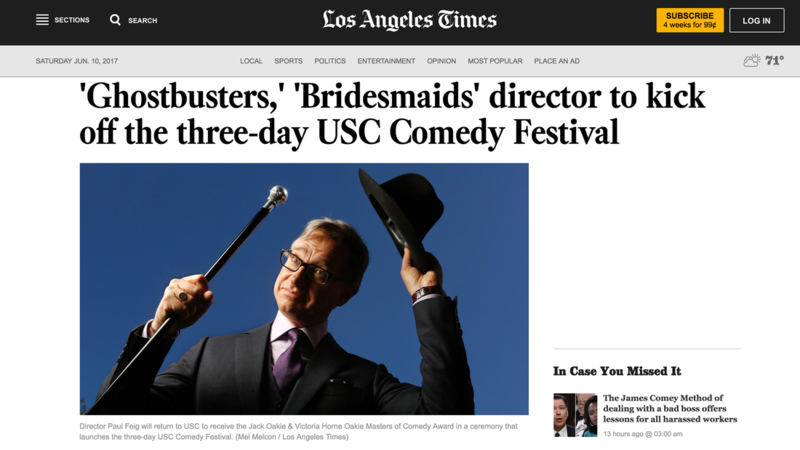 We're Going to USC's Comedy Festival! Read more by clicking the picture or check the link below. Proud to be featured in BrownGirl Magazine! Click the image or visit the link below! Click the picture below to read more or visit the link below! We'll be doing an AMA about how it was to direct a Bollywood musical in Hollywood with our director Meenakshi Ramamurthy this Friday. Details to come! The LAist Named Us 1 of the 9 Best Webseries about LA! Yesss froyo musicals for the win! Click the picture or the link below for more. The internet is catching wind of us :) And not because we farted! 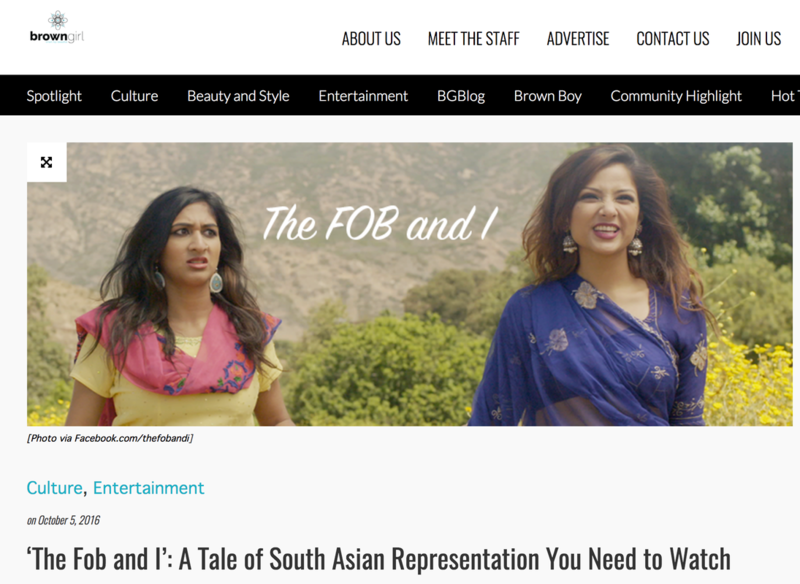 "Beyond its comedic stylings, The Fob and I also provides a significant amount of heart, and as Sita and Jisha trade barbs, they also learn about each other and their own identities. " NBC news--front page! (if you scroll :p) Big thanks to our wonderful cast and crew for starting the chai revolution and many more! "When the term 'chai tea' is erased from café menus across America, Meena Ramamurthy will retire satisfied. 'If that's my crowning achievement as a filmmaker, I'll be happy,' the 29-year-old comedy writer and director told NBC News...who said she's a 'Sita in the streets, but a Jisha in the sheets.'" Lucky Penny is a sweet artist blog and we're grateful to be featured by them. 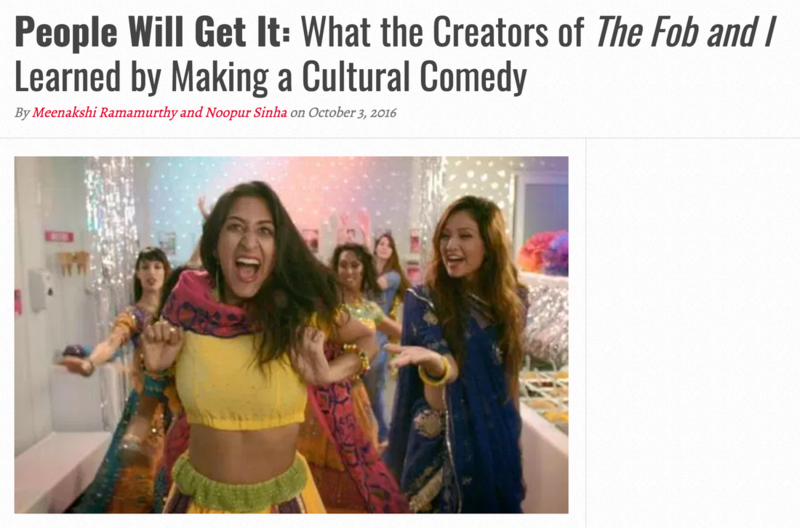 "It’s smart, fresh, funny, and offers viewers multi-dimensional brown characters while debunking stereotypes." COPYRIGHT © 2017 NAMBOOR, INC. ALL RIGHTS RESERVED.